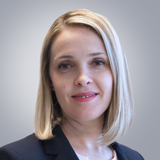 Tampa endodontist Elena Kan, DDS, MS, specializes in the diagnosis and treatment of endodontic issues associated with the tooth pulp, which is the soft tissue located inside the root canal. Dr.Kan performs simple and complex endodontic procedures to relieve pain and restore teeth. She treats patients age eight and older. Dr. Kan was a general dentist for 10 years before she decided to specialize in endodontics. After completing her Doctor of Dental Surgery degree, she continued her Endodontics training at University of North Carolina at Chapel Hill where she was awarded her Certificate in Endodontics and a Master of Science degree. Dr. Kan is a member of the American Association of Endodontists, American Dental Association, and Florida Dental Association. 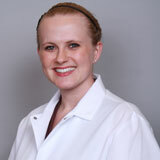 Rachel Spicola, DDS, treats adults, teenagers, and children as young as 8. She provides preventive, restorative and cosmetic dental care including exams, fillings, root canal therapy, extractions, crowns, bridges, dentures, dental implant restorations, oral cancer screening, periodontal disease management, Invisalign® clear aligners, veneers, and teeth whitening. In addition, her team strives to accommodate same-day emergency dental appointments. Dr. Spicola earned her dental degree at West Virginia University School of Dentistry. Her undergraduate degree is from the University of South Florida in Tampa. Dr. Spicola is a member of the American Dental Association, Florida Dental Association, and Academy of General Dentistry.